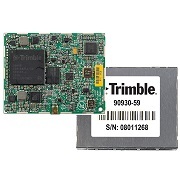 The Trimble BD920-W3G Evaluation Kit contains the Trimble BD920-W3G interface board and a power supply to get you up and running in no time. 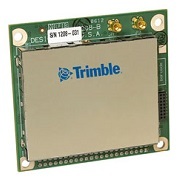 The Trimble BD920-W3G Evaluation Kit contains the Trimble BD920-W3G interface board and a power supply. 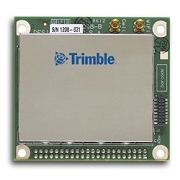 The Trimble BD920-W3G interface board is ideal for navigation applications that require precise positioning. It supports satellite signals that include GPS L1/L2, GLONASS L1/L2 and Galileo E1. With its on board multipath mitigation, the Trimble BD920-W3G interface board has low latency (<20 m/sec) and supports centimeter-level accuracy. It also has low RTK initialization time and supports high RTK initialization reliability. Furthermore, to enable high-speed data transfer and easy integration, the Trimble BD920-W3G is equipped with 1 USB port, 1 Ethernet port, 3 RS232 ports, integrated 802.11 a/g/b Wi-Fi, as well as integrated Bluetooth V3.0 technologies. Trimble’s focus on the latest embedded positioning technologies facilitates easy operation and future proofing. The Trimble BD920-W3G Evaluation Kit is available to original equipment manufacturers (OEM) and system integrators.